Virgin Australia and OzHarvest have announced today that through their partnership, they have provided one million meals to children in need around Australia. 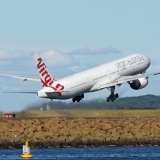 OzHarvest, Australia’s leading food rescue organisation, has been collecting surplus food from Virgin Australia aircraft since 2015, demonstrating a major innovation in the way the airline operated and dealt with its surplus food supplies. OzHarvest rescues over eight tonnes of quality surplus food direct from Virgin Australia each month distributing to schools in vulnerable communities around the country. 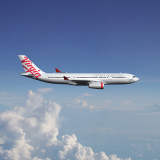 Virgin Australia is one of OzHarvest’s biggest food donors outside of the major supermarket chains. The partnership has saved over 333,000 kilograms of food from landfill to date. 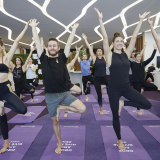 Virgin Australia General Manager of Group Sustainability, Rob Wood, said the partnership demonstrates Virgin Australia’s commitment to implementing sustainable business operations. "It's fantastic when our airline is able to help address the pressing issue of hunger and poverty in our community whilst also improving the way that our business operates and reducing our waste streams. “We commend the efforts of our crew, our catering partners at Gate Gourmet, the volunteers, the drivers at OzHarvest and the many others involved in this supply chain that go the extra mile to ensure that surplus food is passed on with care every single day. “This milestone of reaching one million meals demonstrates the importance of this community service and we are proud to be working with OzHarvest on this initiative,” he said. 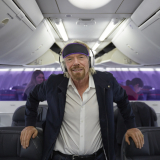 OzHarvest Founder and CEO, Ronni Kahn, said that OzHarvest looks forward to continuing to progress its partnership with Virgin Australia to help those most in need in the community. “Food rescue is at the heart of what we do. We know that kids who eat a good breakfast and have access to fresh nutritious food, can concentrate at school. Thanks to the regular donations from Virgin Australia, we can provide a range of nourishing food items including fresh fruit, sandwiches and wraps, cheese and biscuits, muffins, muesli bars and drinks,” she said. OzHarvest currently rescues over 125 tonnes of fresh food every week from over 3,000 food donors across the country. The food is delivered to over 1,300 charitable agencies that help feed people in need. Food relief is on the rise and many agencies say they could take double to meet demand. One in five children now experience food insecurity each year . 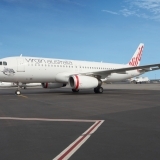 Virgin Australia donates over eight tonnes of food each month, providing over 16,000 meals to people in need. One million meals equates to 333,000 kilograms of food donated by Virgin Australia since 2015.